If you haven’t started reading books about artists with your children, then you are seriously missing out! These children’s books about artists will open up a whole new world for your kiddos. 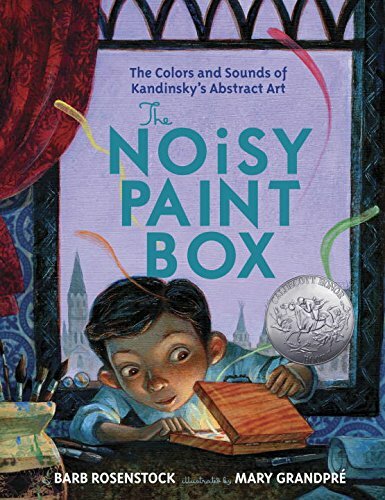 The first book my kids really connected to about an artist was Barb Rosenstock’s The Noisy Paint Box. It started us down a whole journey of reading about other artists. Amazing how one simple book can open up a whole new avenue of reading with your kids! In addition to offering books about artists for kids, I’ve teamed up with some fellow bloggers to offer you homeschool and in-class Art Unit Study ideas to teach kids seven and under about Art. You can find these books about artists for kids at your local library or purchase through the affiliate links provided for your convenience. We actually started reading about famous artists when we came across The Noisy Paint Box: The Colors and Sounds of Kandinsky’s Abstract Art, which remained a favorite with my boys. It was fascinating to read about so many wonderful artists and then look up the works they created. The Noisy Paint Box: The Colors and Sounds of Kandinsky’s Abstract Art: A Caldecott Honor Book! Vasya Kandinsky was a proper little boy: he studied math and history, he practiced the piano, he sat up straight and was perfectly polite. And when his family sent him to art classes, they expected him to paint pretty houses and flowers—like a proper artist. But as Vasya opened his paint box and began mixing the reds, the yellows, the blues, he heard a strange sound—the swirling colors trilled like an orchestra tuning up for a symphony! And as he grew older, he continued to hear brilliant colors singing and see vibrant sounds dancing. But was Vasya brave enough to put aside his proper still lifes and portraits and paint . . . music? 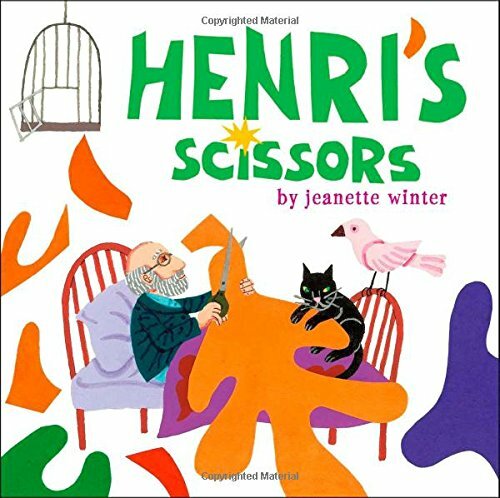 Henri’s Scissors: In a small weaving town in France, a young boy named Henri-Emile Matisse drew pictures everywhere, and when he grew up, he moved to Paris and became a famous artist who created paintings that were adored around the world. But late in life a serious illness confined him to a wheelchair, and amazingly, it was from there that he created among his most beloved works—enormous and breathtaking paper cutouts. Based on the life of Henri Matisse, this moving and inspirational picture book biography includes a note from the author, dynamic quotes from Matisse himself, and an illuminating look at a little-known part of a great artist’s creative process. 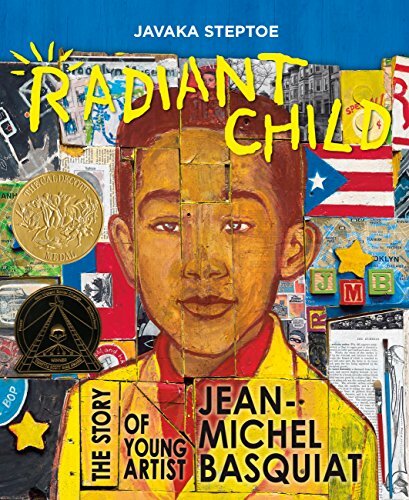 Radiant Child: The Story of Young Artist Jean-Michel Basquiat (Americas Award for Children’s and Young Adult Literature. Commended): Jean-Michel Basquiat and his unique, collage-style paintings rocketed to fame in the 1980s as a cultural phenomenon unlike anything the art world had ever seen. But before that, he was a little boy who saw art everywhere: in poetry books and museums, in games and in the words that we speak, and in the pulsing energy of New York City. Now, award-winning illustrator Javaka Steptoe’s vivid text and bold artwork echoing Basquiat’s own introduce young readers to the powerful message that art doesn’t always have to be neat or clean–and definitely not inside the lines–to be beautiful. 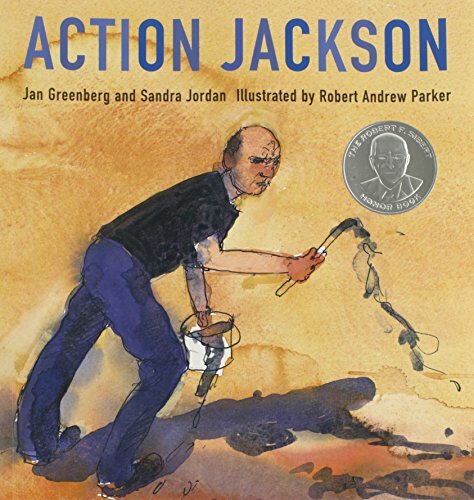 Action Jackson: A Sibert Honor Book, a New York Times Best Book of the Year, and a Publishers Weekly Best Book of the Year. One late spring morning the American artist Jackson Pollock began work on the canvas that would ultimately come to be known as Number 1, 1950 (Lavender Mist). 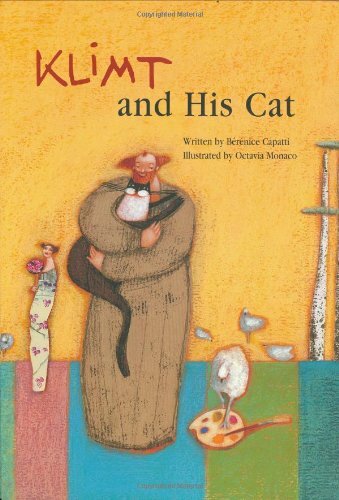 Award-winning authors Jan Greenberg and Sandra Jordan use this moment as the departure point for a unique picture book about a great painter and the way in which he worked. Their lyrical text, drawn from Pollock’s own comments and those made by members of his immediate circle, is perfectly complemented by vibrant watercolors by Robert Andrew Parker that honor his spirit of the artist without imitating his paintings. 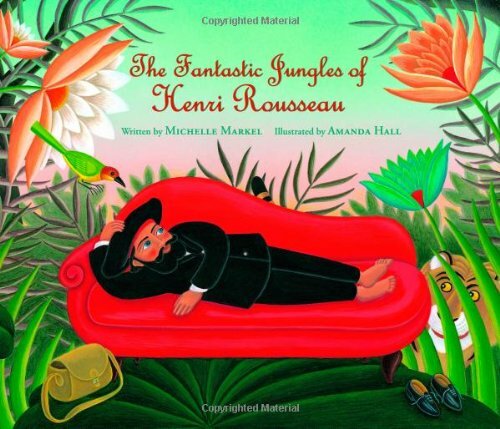 The Fantastic Jungles of Henri Rousseau: Henri Rousseau wanted to be an artist. But he had no formal training. Instead, he taught himself to paint. He painted until the jungles and animals and distant lands in his head came alive on the space of his canvases. Henri Rousseau endured the harsh critics of his day and created the brilliant paintings that now hang in museums around the world. Michelle Markel’s vivid text, complemented by the vibrant illustrations of Amanda Hall, artfully introduces young readers to the beloved painter and encourages all readers to persevere despite all odds. 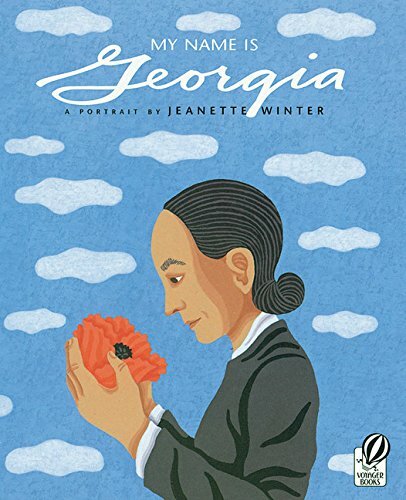 My Name Is Georgia: A Portrait by Jeanette Winter: From the time she was just a young girl, Georgia O’Keeffe viewed the world in her own way. While other girls played with toys and braided their hair, Georgia practiced her drawing and let her hair fly free. As an adult, Georgia followed her love of art from the steel canyons of New York City to the vast plains of New Mexico. There she painted all day, and slept beneath the stars at night. Throughout her life Georgia O’Keeffe followed her dreams–and so found her way to become a great American artist. 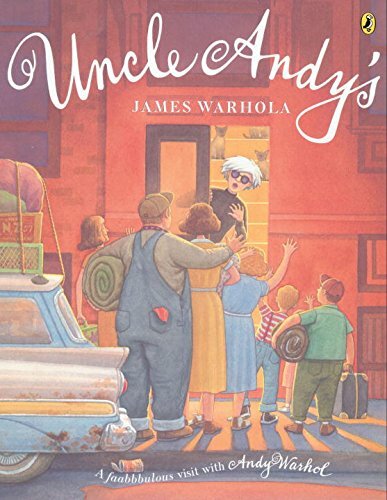 Uncle Andy’s: A Faabbbulous Visit with Andy Warhol: When James Warhola was a little boy, his father had a junk business that turned their yard into a wonderful play zone that his mother didn’t fully appreciate! But whenever James and his family drove to New York City to visit Uncle Andy, they got to see how “junk” could become something truly amazing in an artist’s hands. 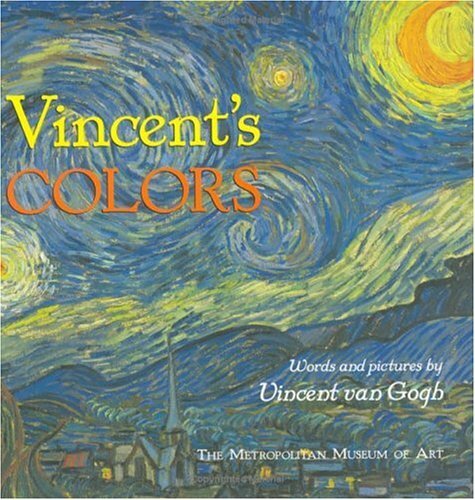 Vincent’s Colors: Vincent van Gogh is one of the world’s most famous artists. Throughout his life, he wrote to his younger brother, Theo, about his colorful, dynamic paintings. This book pairs the artist’s paintings with his own words. Van Gogh’s descriptions, arranged as a simple rhyme, introduce young readers to all the colors of the rainbowand beyond. The descriptive words combine with spectacular reproductions of many of the artist’s most beloved and important works to create a perfect art book for young and old alike. 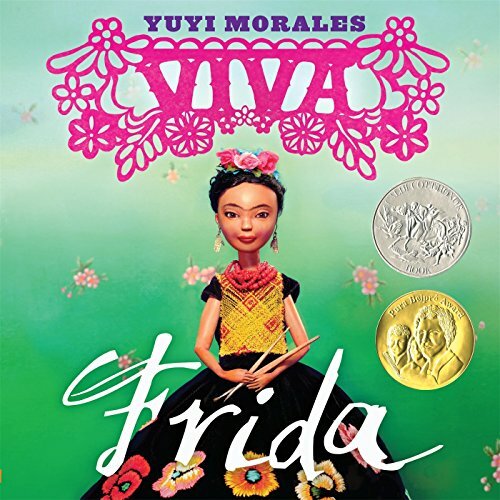 Viva Frida (Morales, Yuyi): A 2015 Caldecott Honor Book. A 2015 Pura Belpré (Illustrator) Award. Frida Kahlo, one of the world’s most famous and unusual artists is revered around the world. 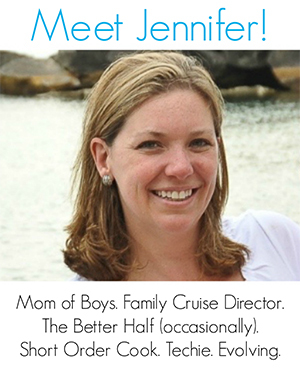 Her life was filled with laughter, love, and tragedy, all of which influenced what she painted on her canvases. Klimt and His Cat: Follow me into Gustav’s studio — it is alive with color! Look at the paintbrushes, the reds and blues and colorful hues that spill onto the table. Smell the scent of paint, of oil, of canvas. . .Katze, the loyal cat of Gustav Klimt, takes readers on an exciting journey into the world of the famous Viennese painter. From distracting Gustav’s models to tagging along with Gustav on vacations, Katze always provides keen insight about the artist’s work and thoughts. Dorothea’s Eyes: Dorothea Lange Photographs the Truth: After a childhood bout of polio left her with a limp, all Dorothea Lange wanted to do was disappear. But this desire not to be seen helped her learn how to blend into the background and observe others acutely. 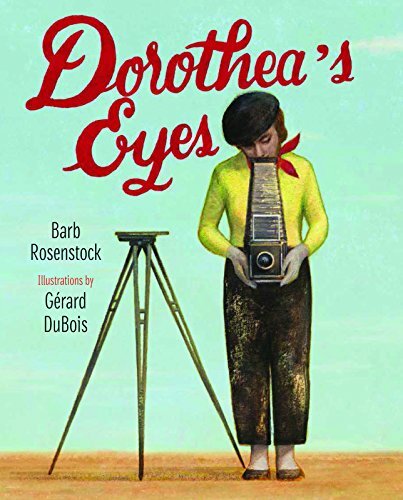 With a passion for the artistic life, and in spite of her family’s disapproval, Dorothea pursued her dream to become a photographer and focused her lens on the previously unseen victims of the Great Depression. This poetic biography tells the emotional story of Lange’s evolution as one of the founders of documentary photography. It includes a gallery of Lange’s photographs, and an author’s note, timeline, and bibliography. 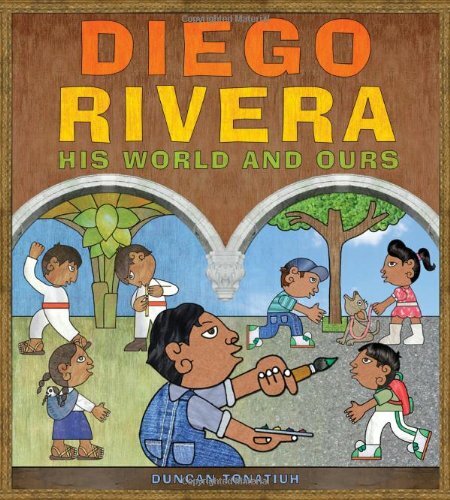 Diego Rivera: His World and Ours: This charming book introduces one of the most popular artists of the twentieth century, Diego Rivera, to young readers. It tells the story of Diego as a young, mischievous boy who demonstrated a clear passion for art and then went on to become one of the most famous painters in the world. Duncan Tonatiuh also prompts readers to think about what Diego would paint today. Just as Diego’s murals depicted great historical events in Mexican culture or celebrated native peoples, if Diego were painting today, what would his artwork depict? How would his paintings reflect today’s culture? 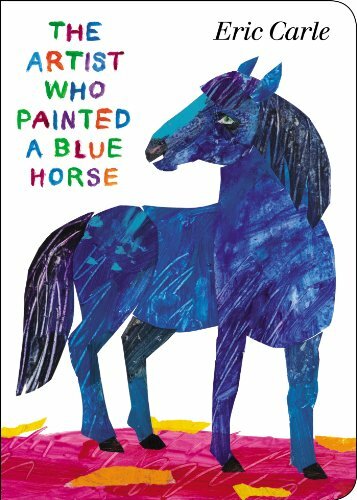 The Artist Who Painted a Blue Horse: A brilliant new Eric Carle picture book for the artist in us all. Every child has an artist inside them, and this vibrant picture book from Eric Carle will help let it out. The artist in this book paints the world as he sees it, just like a child. There’s a red crocodile, an orange elephant, a purple fox and a polka-dotted donkey. More than anything, there’s imagination. Filled with some of the most magnificently colorful animals of Eric Carle’s career, this tribute to the creative life celebrates the power of art. 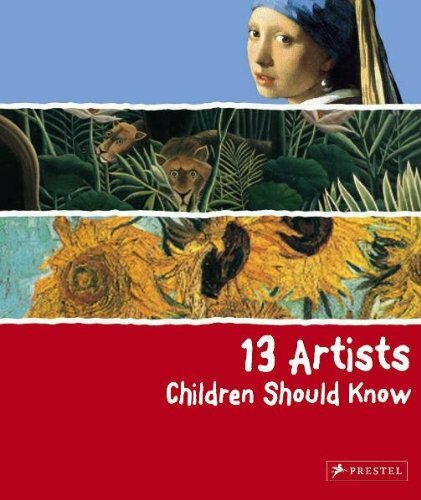 13 Artists Children Should Know: This heavily illustrated book featuring the world’s greatest painters is an excellent introduction for young readers to artists and their works. Whether it’s Leonardo da Vinci’s mysterious Mona Lisa, Vermeer’s vibrant depictions of light, Van Gogh’s mesmerizing brush strokes, or Matisse’s playful cutouts, the art featured here is introduced in a format and style that will appeal to children. The book proceeds chronologically, accompanied by a timeline to offer helpful historical context. Each artist’s entry includes a concise biography, beautiful reproductions of major works, and lively texts that speak directly to young readers. Games, quizzes and other activities help readers learn about the significant contributions of each artist in a way that is both fun and inspiring. 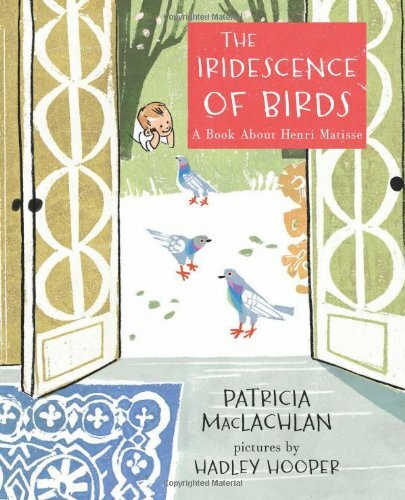 The Iridescence of Birds: A Book About Henri Matisse: If you were a boy named Henri Matisse who lived in a dreary town in northern France, what would your life be like? Would it be full of color and art? Full of lines and dancing figures? Find out in this beautiful, unusual picture book about one of the world’s most famous and influential artists by acclaimed author and Newbery Medal-winning Patricia MacLachlan and innovative illustrator Hadley Hooper. Like these books about artists? 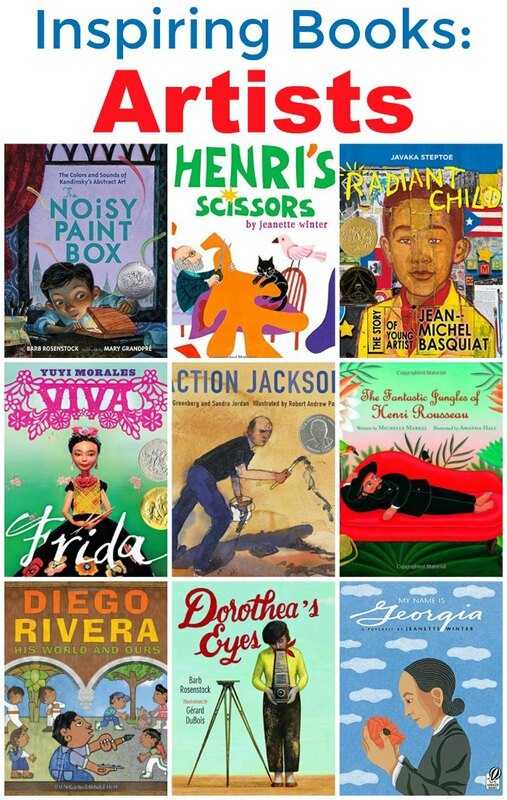 Find even more engaging book lists for kids with more than 100 book-themed reading lists! 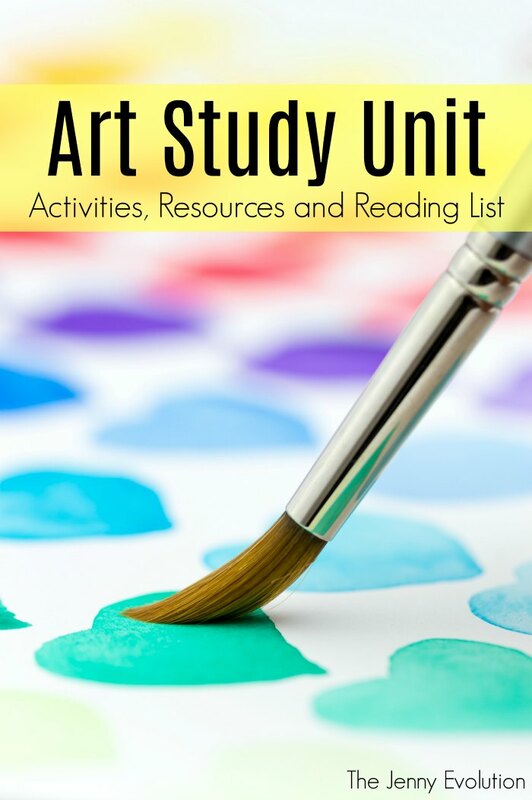 In addition to offering books about artists for kids, I’ve teamed up with some fellow bloggers to offer you homeschool and in-class Art Unit Study ideas to teach kids seven and under about Art. Some links may contain affiliate links.